There is a wide range of different dental problems that can affect us during our lifetime. While sometimes these occur as standalone issues that can be resolved fairly easily, other times these problems can accumulate quickly, and you find that virtually every tooth in your mouth needs some sort of treatment. This most often occurs when patients haven’t seen their dentist for a long time, which has enabled decay and damage to progress and become significantly worse. However, there are other scenarios, such as a sudden trauma to the mouth, that can also cause widespread damage. If you have severe dental problems, our dentist may recommend you for something known as a full mouth reconstruction. A full mouth reconstruction is the term given to a number of different dental procedures that are combined in order to completely restore all of the teeth in either or both the upper and lower arches of your mouth. These treatments take place over a number of months, and at the end of the treatment, you will benefit from a completely restored, functional, and attractive smile. Since most full mouth reconstruction surgeries are fairly complex in nature, you may find that a variety of different specialists are involved at various stages of your treatment plan. What can I expect to happen during a full mouth reconstruction? Every patient can be expected to have unique dental requirements. This means that every full mouth reconstruction program will be tailored to your personal needs. Our dentist will talk to you about which treatments would benefit your teeth and why, and will explain which order you can expect these to be carried out in. The more dental work you need, the lengthier and more detailed you can expect your treatment program to be. It is also important to understand that your full mouth reconstruction will also be based around how well you respond to the various treatments and could be adjusted at any point if your dentist feels that it would be beneficial. While some treatment results are obvious fairly quickly, others, such as Invisalign, are prolonged and it will take a number of months or longer to see a significant change in the appearance of your smile. Bone and/or soft tissue grafts. These are normally required to ensure that your mouth can support solutions such as dental implants. Gum contouring. This is performed with the purpose of creating greater uniformity of gum height across your teeth. Crown lengthening. If your gum tissue is sitting too high against your teeth, you may need this procedure to ensure that crowns and bridges fit properly. Periodontal treatments such as root planing and scaling. These types of treatment focus on gum health and eradicating gum disease. Preparation of teeth. 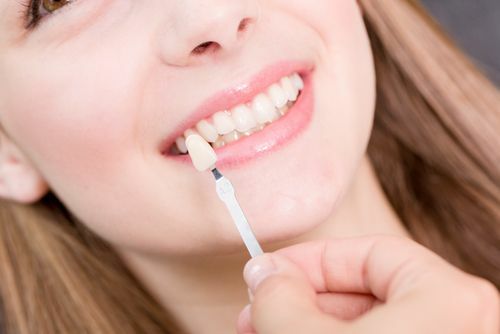 This is normally required so that any dental restorations fit properly, for example, filing down the natural enamel of the teeth so that dental veneers can be fitted. Professional dental cleaning. Your dentist has superior tools and access to your mouth, enabling them to do a significantly more thorough clean than you can do yourself at home. Placing restorations, temporary or permanent. These restore functionality to the teeth and could include cavity fillings, crowns, and bridgework. Orthodontic treatments. Regular braces and Invisalign both are designed to correct dental alignment and bite problems. Dentures and dental implants. If you are missing teeth or require some of your natural teeth to be extracted, your full mouth reconstruction will include restoring these with artificial alternatives – either in the form of dentures or dental implants. Exactly what will be included in your full mouth reconstruction will be decided after a thorough assessment of your teeth and oral health. If you are suffering from decay or damage in a large number of your teeth and would like to know more about full mouth reconstructions, or if you would like to schedule an appointment for your own, call Vero Dental Spa today at 772-778-5550.